Having chips (fries) with meat is something that you can’t do easily if you want to stick to a low carb diet. Potatoes, as I’ve said repeatedly, are simply not on the menu. While you can do a fantastic cauliflower mash it’s simply not the same as a portion of fries. 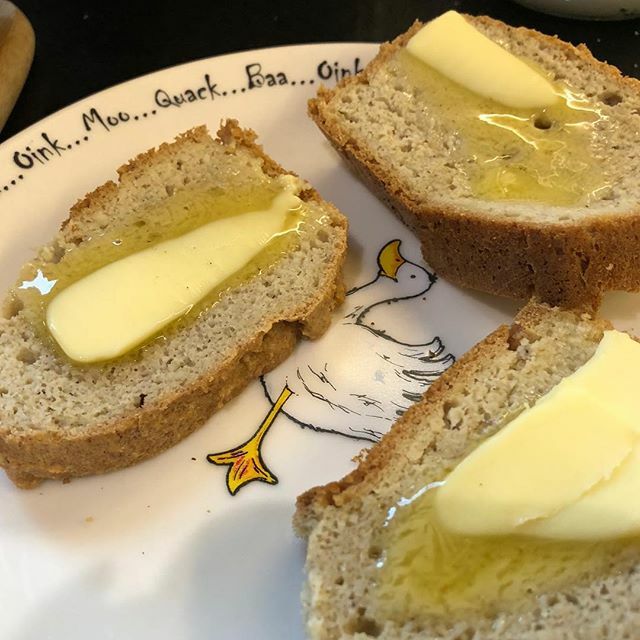 There are quite a few sites devoted to the low carb or keto lifestyle, so there are plenty of bloggers sharing their recipes. It’s just a matter of finding the alternative to potatoes that works for you. 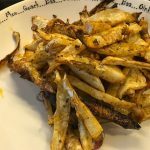 Some of the recipes I came across would give you a nice “side” but they wouldn’t come close to replacing the consistency of fries. I ended up going with celeriac for mine, but apparently turnip is a good option too. 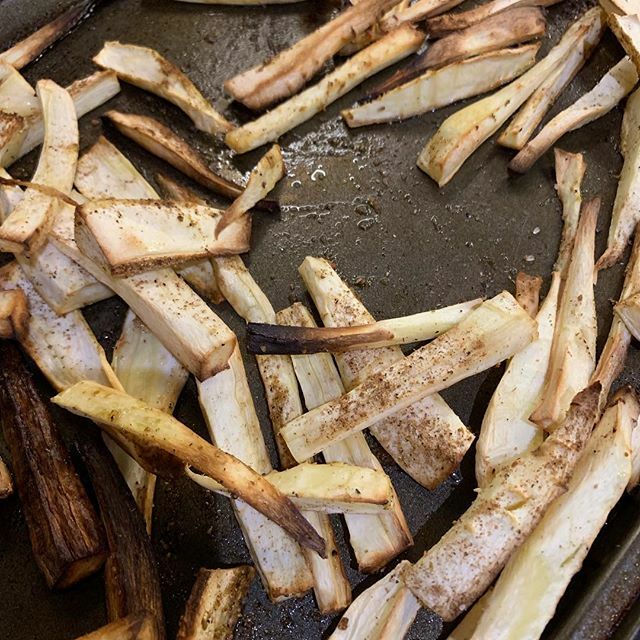 Making fries using celeriac isn’t complicated. 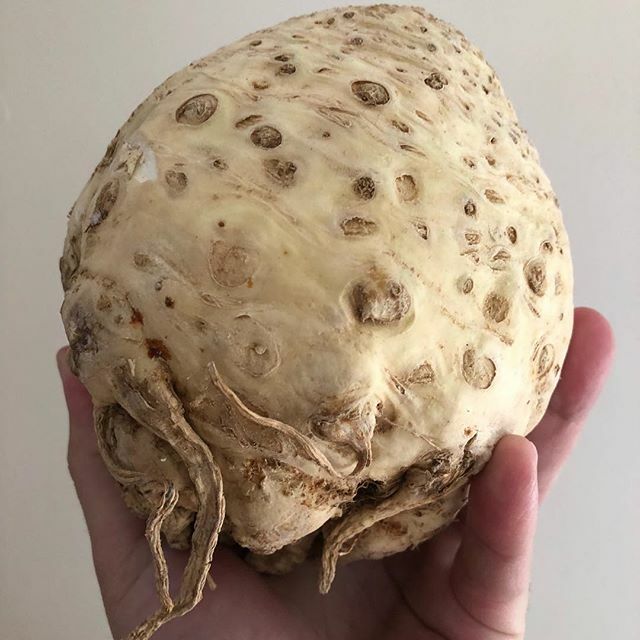 You just need to treat the celeriac as if it was an oversized potato! 1/2 head celeriac You'll have a better idea of the quantity you need once you've sliced up the celeriac after cleaning it. 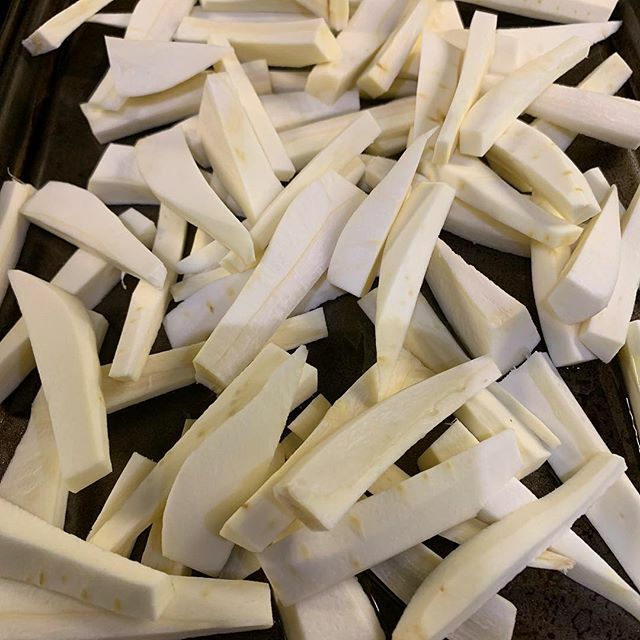 Once the oven has heated transfer the fries to it and cook for 20 to 25 minutes. 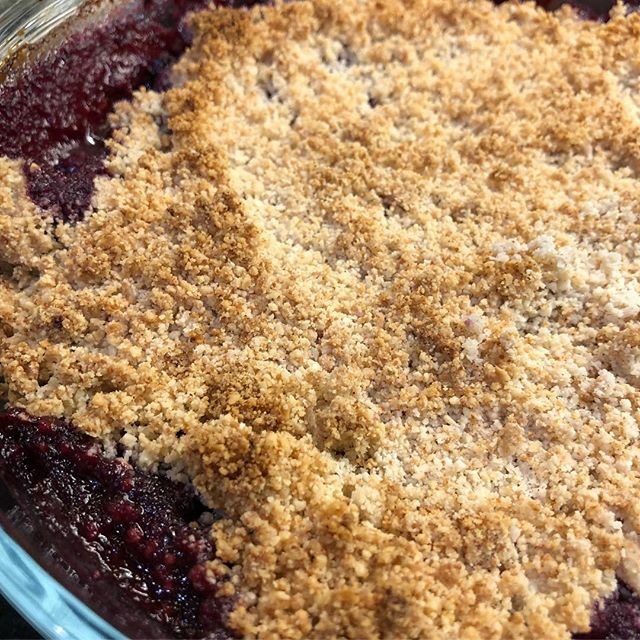 You should probably turn or shake the baking tray a few times while cooking to make sure that they're cooked through and don't burn. Serve as you would French fries or chips. I used mixed herbs with paprika. You could easily use any other combination of herbs and spices that would go well with potatoes - the end result is very similar in consistency to potatoes, so you can treat it almost identically. In terms of carbs celeriac is pretty good. It’s about 9g per 100g, so the amount you end up with obviously depend on how much you eat. 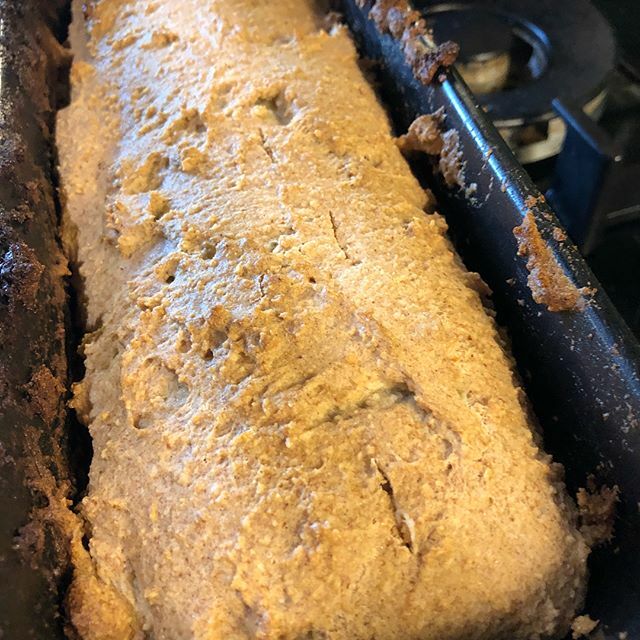 When you’re trying to stick to a low carb diet anything with bread or bread crumbs is off the menu. So when you’re perusing the shelves in your local supermarket you cannot simply pick up a pack of chicken or whatever in any kind of bread crumbs. That won’t work. 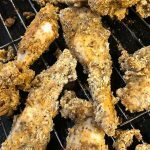 However there is absolutely nothing to stop you from making your own, though using low carb ingredients. Pork schnitzels are simple yet tasty. 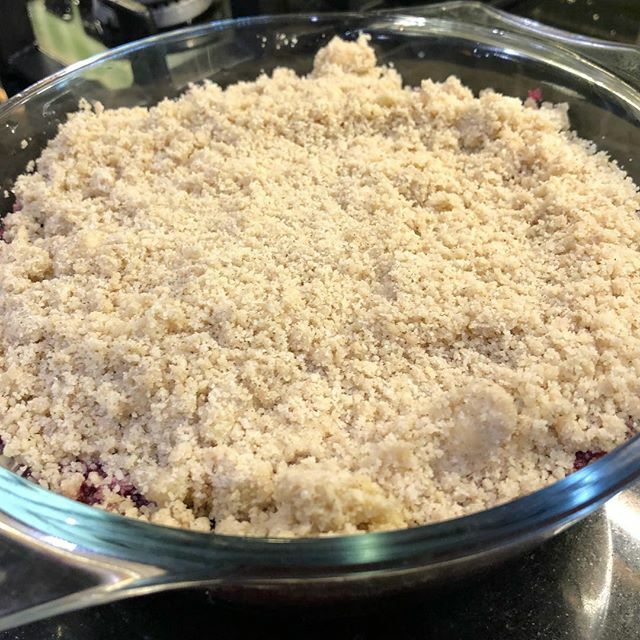 The traditional recipe uses bread crumbs, but it’s super easy to swap that out for almond flour or ground almonds (which is practically the same thing). All you need are a few pork boneless pork chops, eggs, seasoning and almond flour. 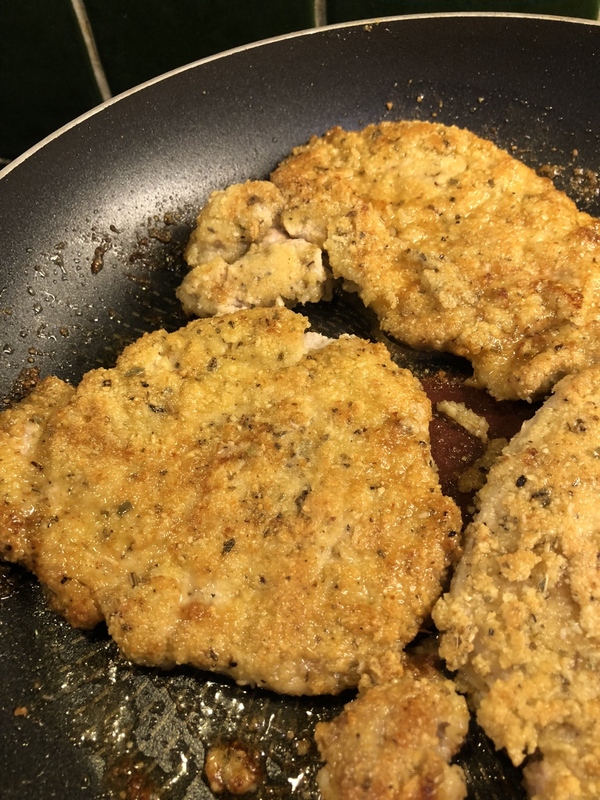 My local butcher not only had the pork chops, but was able to remove the excess fat as well as pounding the meat for me, so that it was a thinner and more suitable for schnitzels. Yet another reason why shopping at a local butcher is always a good idea! 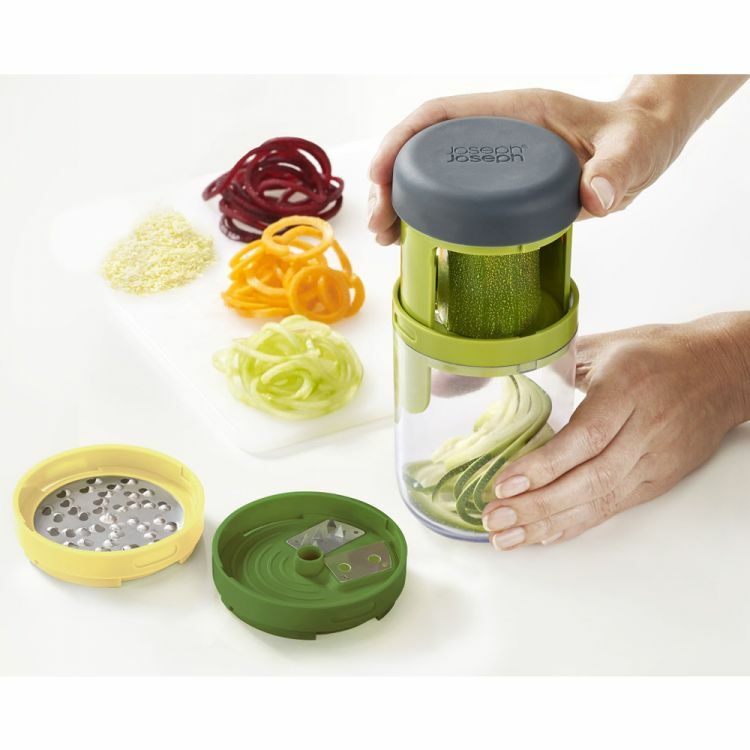 Beat an egg or two in a shallow bowl or plate – you’ll be using this to dip the meat into. Dip the meat in the egg, then coat in the almond flour mix and then simply fry it. Repeat for each schnitzel. Fry the meat on a medium flame and make sure to turn them from time to time. Just make sure they’re cooked all the way through. I also did some cauliflower mash to go with mine, which turned out very well.